All in Edinburgh would like to share this case study with you! Graeme engaged with us in June 2017 after being made redundant from his previous role as a Kitchen Porter, in which he had spent 11 years. Graeme had since found that he was being invited to interviews for Kitchen Porter roles but was not getting the support he needed for the written elements, or sometimes struggled with the verbal answers and, consequently, he was not getting the jobs. Graeme met with his Employment Coordinator, John, and they put together an action plan framed around improving interview skills and working on the best responses he could give to common Kitchen Porter interview questions when measured against his CV. In addition to this, John attended interviews with Graeme to ensure that he had all of the support he needed and to assist the Employers so as to provide them with the support they needed to accommodate for anybody with barriers. As a result of this, Graeme was successful in his interview with Toby Carvery in Liberton and couldn’t wait to get going. He stated, ‘it has always been my dream to work at Toby Carvery.’ John accompanied Graeme to his first induction shifts and worked on identifying bus routes from Graeme’s house to work, which he is able to undertake with a bus pass that All in Edinburgh sourced for him. Toby Carvery put in place an excellent support strategy and Graeme aced his training as a consequence. 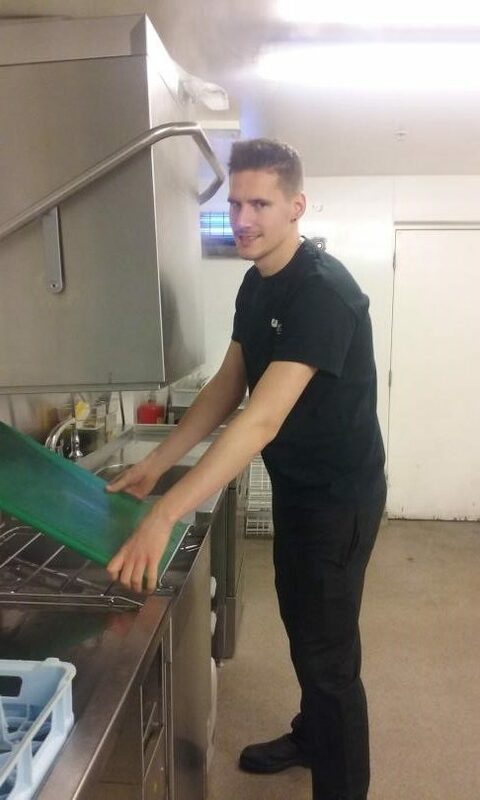 He has found the support of Toby Carvery and Mitchell and Butler’s as a wider organisation to be magnificent and has made many friends, in addition to impressing all with his redoubtable work ethic. Graeme looks forward to working and spending his downtime with the regulars in his local pub, or making sure his Hearts season ticket is put to good use! John Fraser was referred to All in Edinburgh towards the end of May 2017 from Community Renewal, where John had been attending regular appointments to seek assistance in his search for a job. Two supported employment workers from All in Edinburgh, Joe and Megan, went to meet John and his employability case worker, Craig, to discuss the service and John’s circumstances. John had worked with various employability projects before and managed to build his skills through various work placements and volunteering opportunities but was struggling with employer engagement and finding paid employment. John has learning difficulties and can find it difficult to process information and articulate himself. He requires support to read and write fluently, he has low numerical skills and he often struggles with time keeping. With some prompting and support to reflect on his skills and experiences, he is very capable of discussing his strengths, but he needs the right support around him to thrive. He needed assistance to build his CV, fill in application forms and contact employers. John also benefits from reminders of his appointments regularly as he can struggle to retain and relay that kind of information. John had an interview lined up to be a Sales Assistant with Sports Direct when Joe first met him, but unfortunately he didn’t get past the interview stage. Having identified at their initial meetings that John’s interest and relevant working experience was in retail, Joe began to meet with John on a weekly basis to strengthen John’s applications and CV. With Joe’s support, John phoned the college he most recently attended to find out and record his most recent qualifications and put these on his CV. Joe also supported John to fill in gaps in his CV by describing his most recent volunteering experience in the Meadows Festival. After writing a covering letter and updating John’s CV, they began sending off applications for jobs in John’s local area. Having applied for several retail positions in various stores around Edinburgh, they identified a vacancy that looked as though it would be well suited to John’s positive and sociable personality. 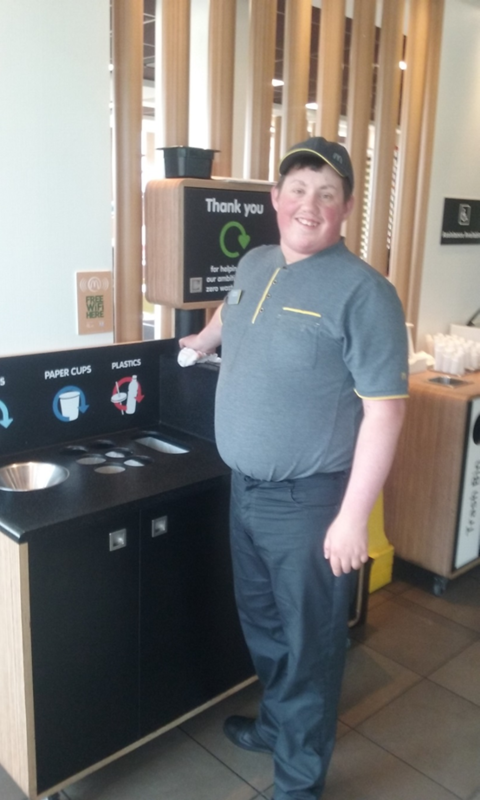 This was a customer care assistant role with McDonalds where he would be responsible for making the customers feel welcome, handing out balloons to kids and helping to maintain a tidy dining area. After filling in the online application with Joe’s support, John was invited for an interview. Joe contacted the employer to make them aware of John’s support needs and they agreed to give him additional time in his interview to answer questions and to allow Joe to be with him. Joe and John met to do some preparation for this by discussing in detail John’s previous work experience placements and why he thought he would be a good candidate for the role. After some interview coaching, John felt very confident and performed well at his interview, being invited back for a trial shift the following day in which he demonstrated he was a great candidate for the job by working at a fast pace, being friendly towards customers and staff alike, and being diligent in performing the duties he was assigned. John was subsequently offered the job to be a customer care assistant beginning in August 2017 and he showed a lot of enthusiasm and a hard work ethic as he begun his first paid employment opportunity. Ryan had recently left college when he turned to the All in Edinburgh service for some support with finding a job. Ryan has a moderate learning disability and attended his first meeting with me alongside his father. During this meeting, it was clear that Ryan was exceptionally low on confidence as he did not speak throughout the meeting and relied on his dad to communicate Ryan’s interests and barriers to employment. During the initial meeting we ascertained that Ryan’s main ambition was to be a gardener and that this was the only vocational route he would be interested in. We agreed that he would benefit from doing some more volunteering in gardens whilst I helped him to apply for paid positions at the same time. I supported Ryan to source and secure a work placement at the Princes St Gardens, giving him some one to one support whilst he started out as his confidence was so low and he wanted someone to help him settle into this new environment. During this time I helped Ryan to send an application for a Gardening Modern Apprenticeship which resulted in his very first interview. This was a competitive position and unfortunately Ryan missed out on the job to other candidates who demonstrated more confidence in undertaking the academic side of the apprenticeship. Joe assured Ryan that he ought not to be deterred however and that he would be stronger for the experience of having had his first interview – Ryan agreed to keep trying. 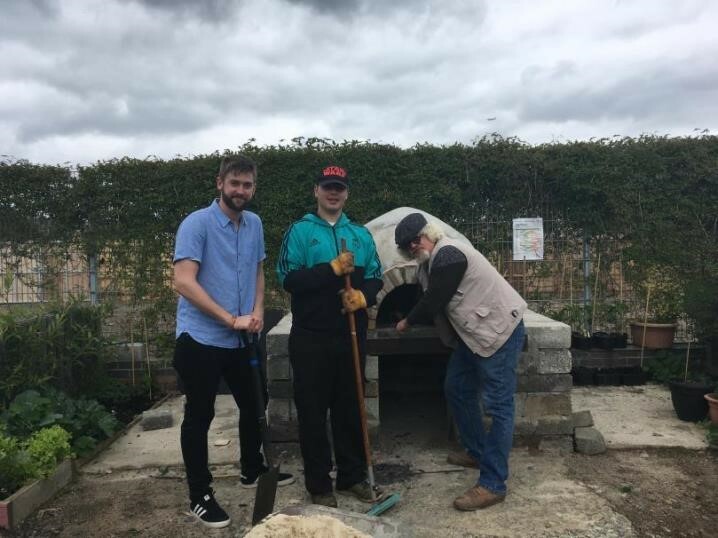 Joe then helped Ryan to begin volunteering in Gorgie City Farm to go alongside his work in the Princes St Gardens to keep improving his gardening skills whilst they continued to apply for paid jobs. An Assistant Gardener vacancy came up with the North Edinburgh Arts Centre and we agreed that this looked like a great fit for Ryan; it would give him the opportunity to work under an experienced gardening supervisor and learn some new skills without putting the same kind of academic pressure on him as a Modern Apprenticeship. Ryan was invited for an interview and I subsequently spent an interview preparation session with him, coming up with a list of potential questions and briefing him on what some good answers would be based on his experience. Ryan did really well to take a lot of information on-board and to challenge himself to talk about his previous experiences in more detail. Ryan’s interview fell on a day when I was on annual leave, so my colleague – Zoe – agreed to meet with Ryan before the interview, go through his preparation with him and then support him to the interview. Zoe did everything she could to give Ryan the best chance of succeeding at his interview and, although he had not been the first choice out of 10 candidates interviewed, the employer was so impressed that she decided to open up a second position in order to take Ryan on. This represented a massive development in Ryan’s confidence and interaction with new people and a phenomenal achievement for him personally. Ryan went on to learn a lot of valuable new skills and even undertook a gardening qualification alongside his job in spite of having initially been unsure of taking up extra academic work. Stuart came to All in Edinburgh through a referral from Scottish Autism. Alongside his ASD, Stuart is also profoundly deaf, relying on BSL. To facilitate meetings with him, his Employment Coordinator arranged for an interpreter from Deaf Action to assist and also arranged for meetings to be at a regular, consistent date in the same location and with the same support worker to assist with Stuart’s comprehension of BSL interpreters. Using a visual process, it became clear that Stuart was very enthusiastic about baking and kitchen work. Through engaging with Employers that fit these characteristics Stuart and his Employment Coordinator were able to source work experience with cake decorating and discover that this type of kitchen work would require additional experience. With this in mind, they applied for a kitchen role at Waldorf Astoria, with written information explaining the support that could be provided to Stuart. Stuart was accompanied by his Employment worker, CSW and interpreter to the interview with explanation to the employer that this was for optimum communication purposes. 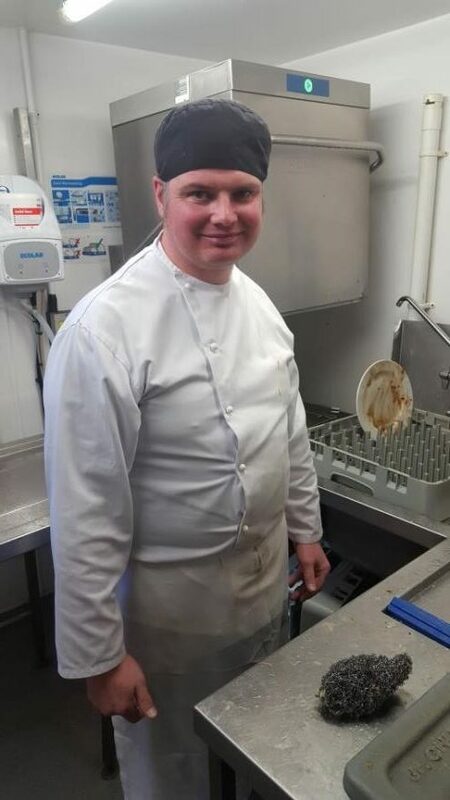 Stuart’s Employment worker arranged for a tour of the kitchen with the management instead of a standard interview as the process was more suited to Stuart’s understanding of the role and for him to best express his knowledge. Stuart was successful at interview and has been working at the Waldorf Astoria for over a year now. His Employment Coordinator has worked with the Employer to ensure that the working environment is conducive to Stuart’s needs and that they will be confident working with him. Stuart has thrived in this role and in August 2017 was awarded Employee of the Month. Stuart’s Employment worker is still in touch with the management and they are still impressed with his reliability and work ethic. They have recently expressed an interest in using supported employment to hire additional members of staff as it works for their needs of retaining staff which is a difficulty that they have when hiring in such a large environment.